Vault Defence was founded and brought to Northern Ireland by Glyn Ashton who has been teaching Krav Maga in Northern Ireland since 2006. He has extensive traditional Martial Arts background and training in numerous forms of Self Defence. Glyn is a First Dan Jui jujitsu and Blue Belt in Brazilian jujitsu obtained at Gracie Barrie N.I. Glyn went onto train in Commando Krav Maga & other forms of Krav Maga reaching Senior Master level. The chances are if you are training Krav Maga in Northern Ireland, your instructor most likely trained under Glyn. Within Vault there is 22 instructors in Northern Ireland with more clubs opening soon. Come join us in the largest and longest running Krav Maga club in N.I. 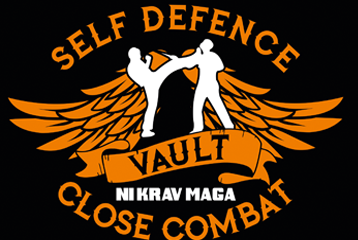 Krav Maga classes are currently £8.00 per class for Vault Belfast, Vault Holywood, Vault Ards, Vault Banbridge with other Vault classes in the region £6.00. Our classes are Pay As You Go. On your first night of training, you train at your own risk. However, if you want to come back after your first night, you are required to pay for yearly Martial Arts Insurance which costs £8.00. After your third week we require yearly membership fees of £20 per year.